Hello Friends! I hope you are well. 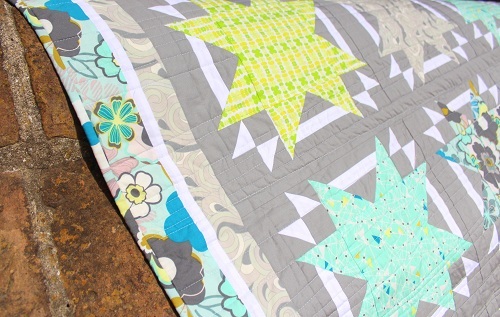 Today I am sharing with you my Urban Stars quilt to kick off 2014 at Ivory Spring! 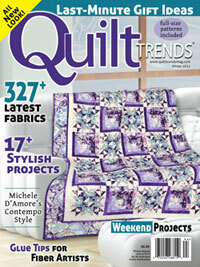 Urban Stars is featured in the current issue (Winter 2014) of Quilt Trends magazine. 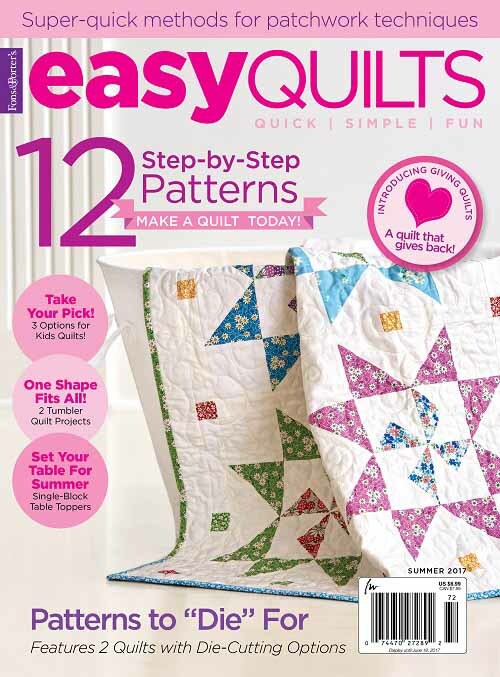 Quilt kit can be purchased here. 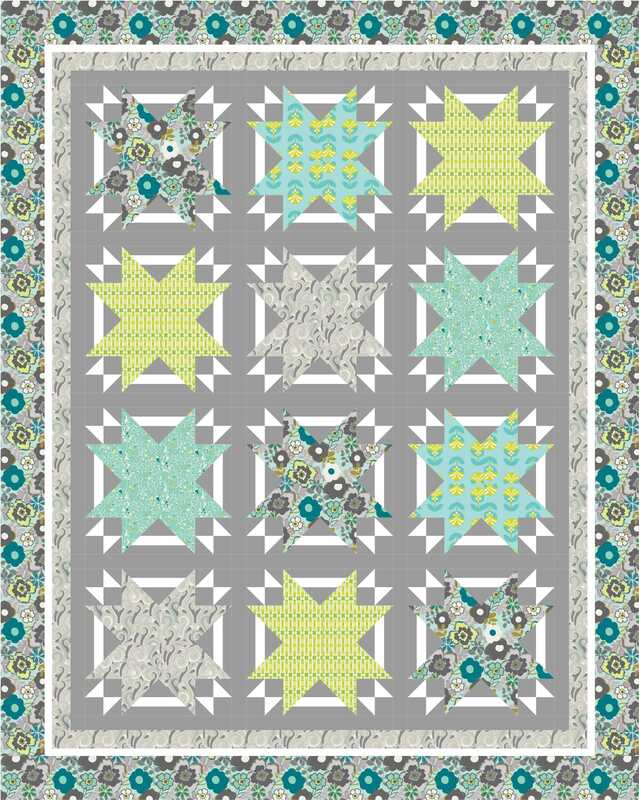 If you remember my stint with using gray in my quilts from last year, Urban Stars is one of the “gray” quilts. I am happy that I am now able to show you the entire quilt. 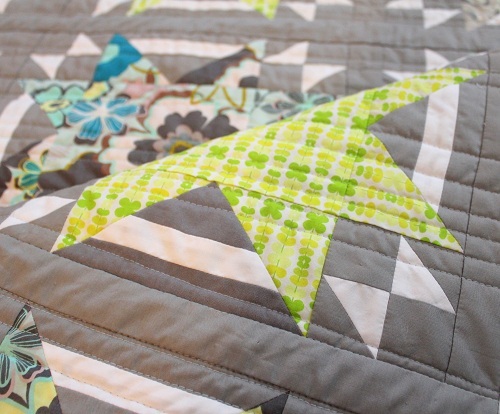 I like the contrast between the gray and the white patches in the quilt. I was quite surprised, but immensely pleased by the effect of using two solids together side by side. 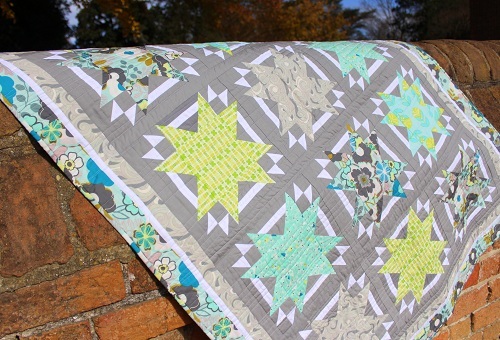 And the blocks are the ever popular traditional sawtooth star blocks, but taken on a “fresh” makeover with the Art Gallery fabrics I used. The fabric collections represented in Urban Stars are Color Me Retro, Textures, Urban Mod and Pure Elements. The quilt was quilted with random horizontal lines across the width of the quilt, using Aurifil Mako 50 cotton thread over Hobbs Tuscany silk batting. I like the extra perk the effect seems to have of using prints on a gray/white background in Urban Stars. Have you had similar experiences in which you are surprised by the effect of unusual color combinations? Thanks so much for visiting. Things remain a bit on the hectic side at Ivory Spring. But please know that I always appreciate hearing from you. Have a great weekend, Dear Friends. 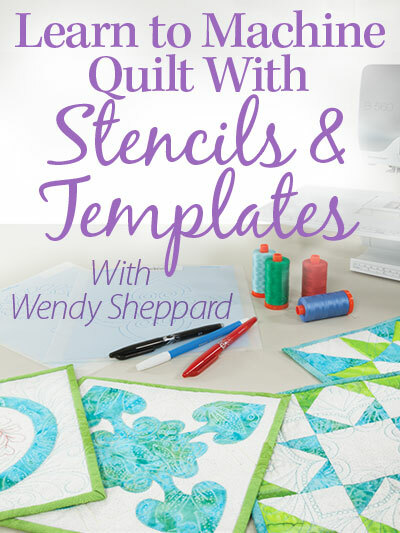 This entry was posted in Quilt kit, Quilt Pattern, Quilting, Quilts & Projects: Published, Quilts: Pieced and tagged Art Gallery Fabrics, Quilt Trends Winter 2014, Star Quilt Pattern, Wendy Sheppard Designs. Bookmark the permalink. I really love this quilt. The white around the stars makes them look like they are floating. Just beautiful! Beautiful colours and design. I really like the white and gray paired together. The combination seems to make the other fabrics sparkle and shine. 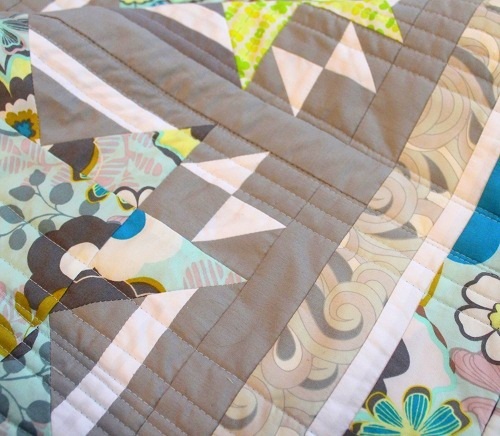 This quilt is very stunning!! Great job! Grey seems to be very popular at the moment but I have seen very little grey fabric around to purchase.. A lovely delicate coloured quilt. 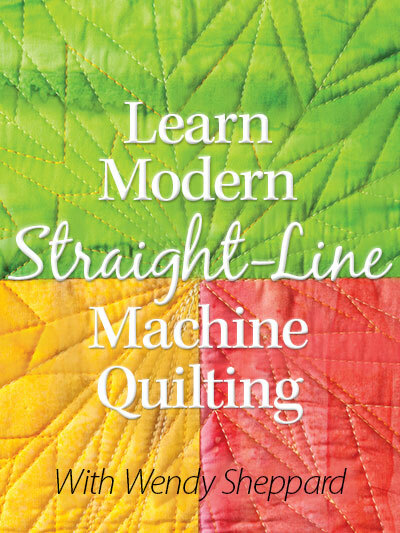 I like the random straight quilting lines, think I might do it on one of my quilts. I like the spark the white “stars” give to the grey background! Interesting quilt. I like it very much. congratulations on another fine pattern. My unexpected spark occured in the early 1980s. I made a lovely violet bock with the accent a tinted blue green. It looked perfect! 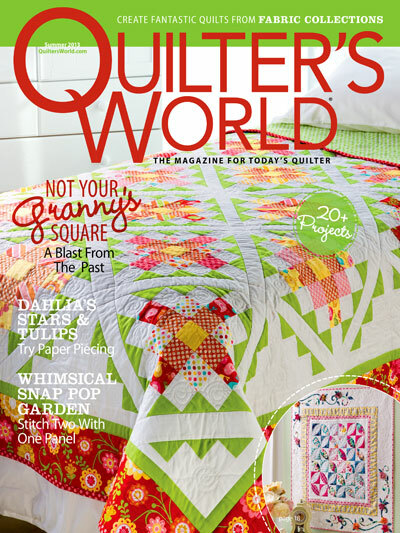 And then a quilter came up to me and said that I can’t put purple and green together. I must fix it. I was stunned by her comments and her rudeness. Didn’t change a thing about it either! She must have never seen a flower garden in full bloom. And, she must have never seen a color wheel either as they are split complementaries. Now whenever I see a green and purple quilt, I think of her. And I give a little smile that confirmed I was right. The color combination looks fabulous, Wendy. I also like the effect that the little four patches with the HSTs give in the corners of the stars. 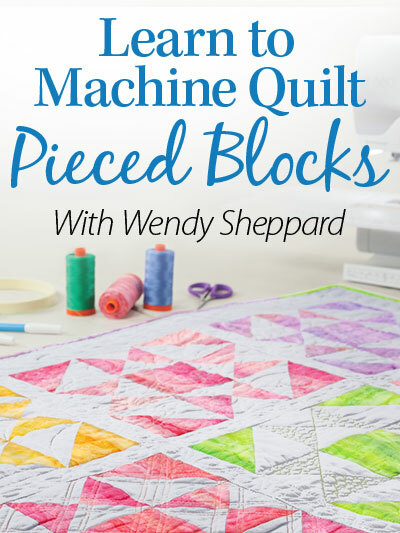 The quilting lines make for a very modern looking design. Very nice. 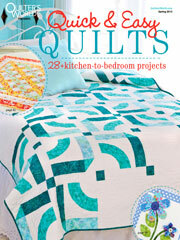 I have enjoyed your gray quilts, Wendy. Can you tell me which manufacturer and which shade of gray you used? 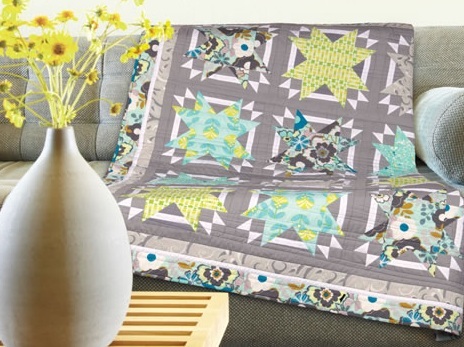 When I look at the gray solids in the shops, I can’t tell how dark or light the gray should be to get that fresh, modern, and cheerful look — and I’m afraid that if I pick the “wrong” gray, I’ll get a gloomy dungeon quilt instead! So I chicken out and don’t buy any gray at all. Very nice, Wendy! Love the colors! You are so talented, my friend. I really like it too. Traditional and modern all at the same time. That is a unique color combination, but I like the soft palette.